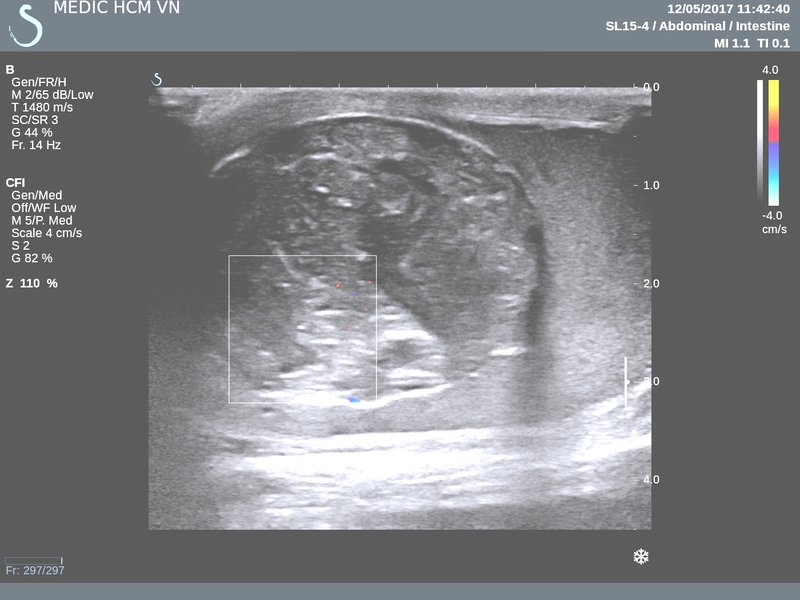 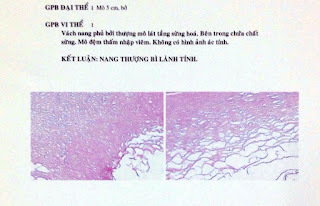 VIETNAMESE MEDIC ULTRASOUND: CASE 434: TESTIS TUMOR, Dr PHAN THANH HẢI - Dr LÊ TÀI, MEDIC MEDICAL CENTER, HCMC, VIETNAM. 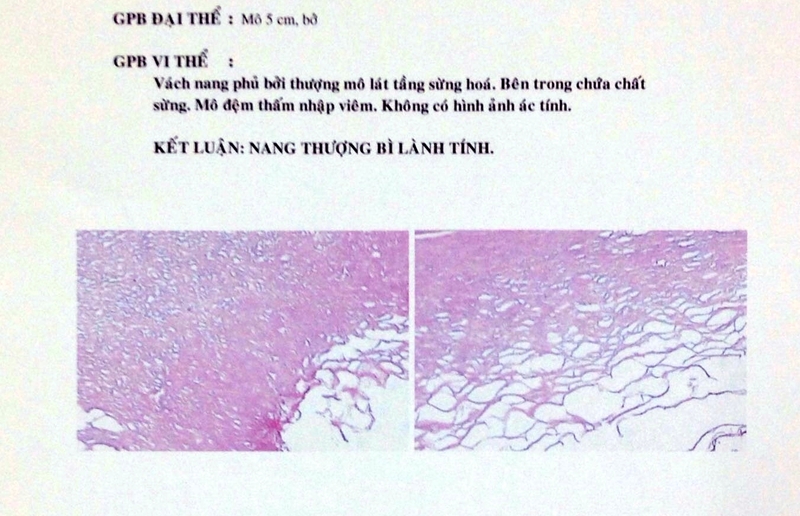 CASE 434: TESTIS TUMOR, Dr PHAN THANH HẢI - Dr LÊ TÀI, MEDIC MEDICAL CENTER, HCMC, VIETNAM. Man 36yo with right testis tense. 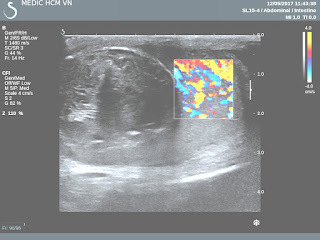 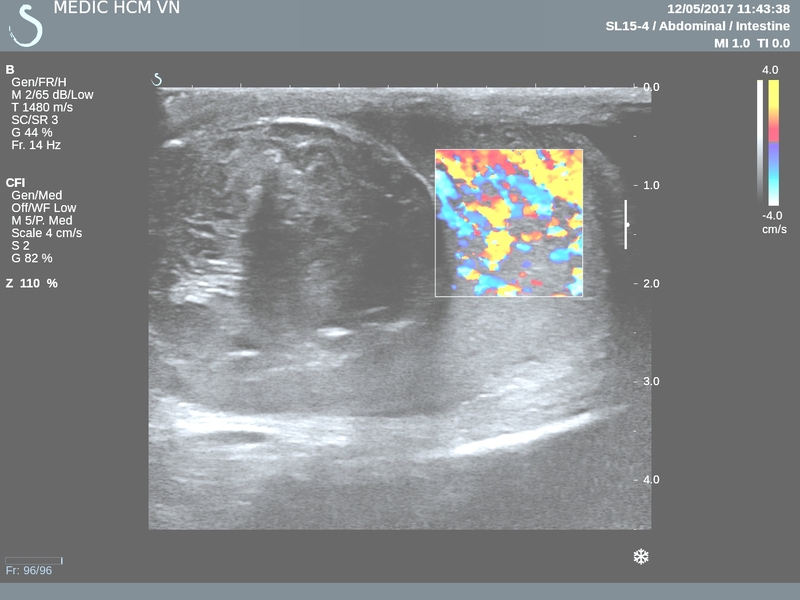 US 1 color doppler not hypervascular, well bordered. US 2 CDI: hypovascular tumor. 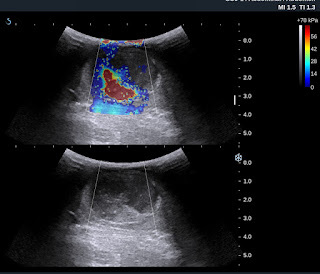 US 3 elastoscan of this tumor is inhomogeneous with some parts very hard. 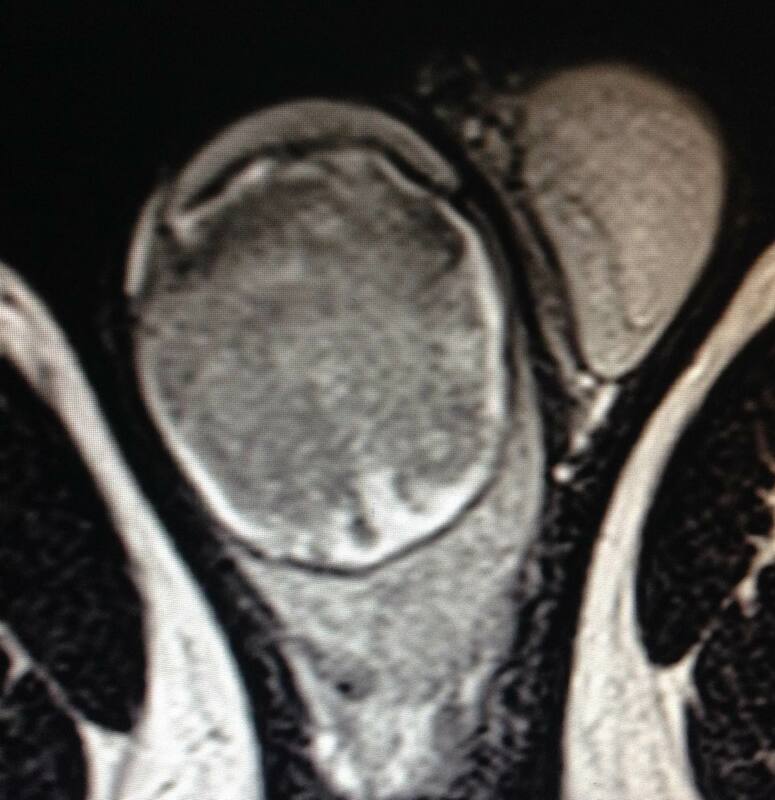 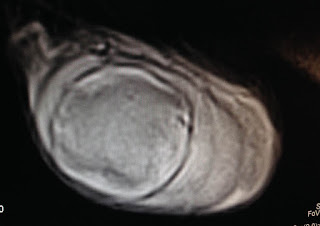 MRI with gado: MRI 1, 2, 3: this tumor very low gado enhanced. 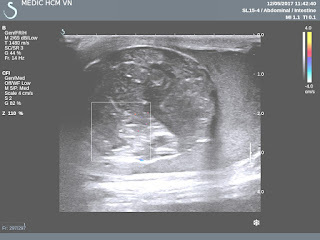 Blood tests = normal AFP and HCG. 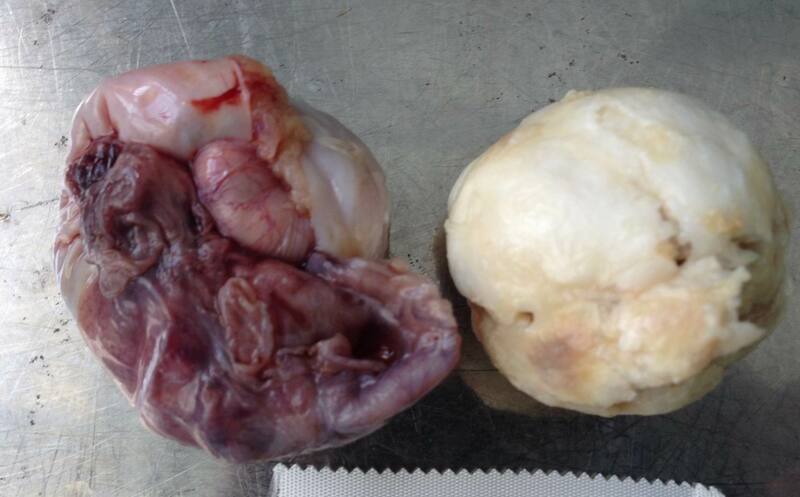 Operation resection of right testis (see macro 1, 2). 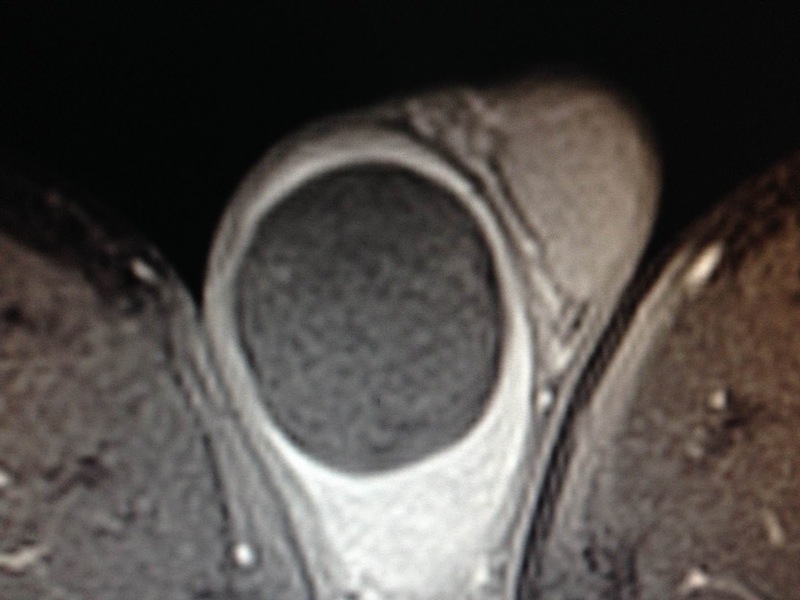 Microscopic report is epidermoid cyst.